So If you've been reading my blog for a while you will know I've attempted this for a few years and not yet been able to manage to complete it. This year I'm trying to up my game, and complete it every day. I've got a busy time at work this month so I know it is going to be tough but I'm determined to do it finally this year!! 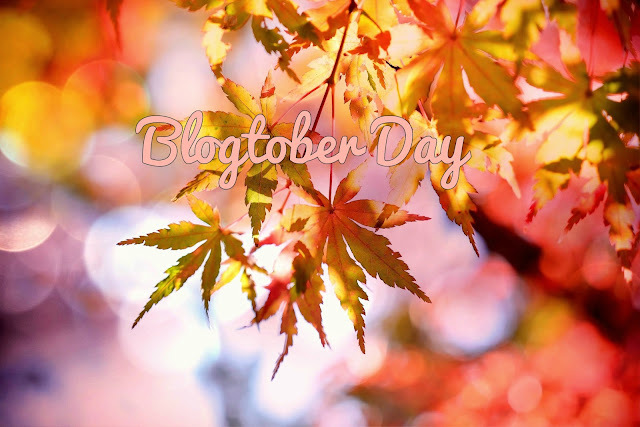 I don't really know who else is doing blogtober this year, in fact I'm not very cosy with any other bloggers, which is something I want to work on, but if you are reading this then I am challenging you to join in and let me know so I can check your blog out and give you posts a read!! Oh and just so you guys know! posts will be going up at 7-ish every night!